Hope this photo can invite one's appetite. 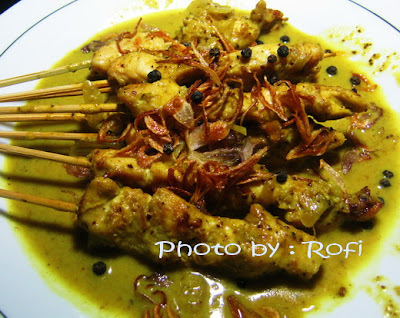 This chicken satay will become one of main menu in our new eating place that will be opened in a few days ahead. My husband cooked, baked and then captured the food from different angles last Sunday. We'll use the pics for banners and menus.